"Returning to Henry Adams, Kansas, is akin to attending a family reunion. The characters are rich, and the kids all have a story to be told." "This series is a winner." 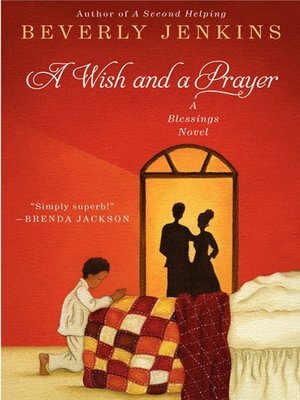 Bestselling author Beverly Jenkins takes readers back to Henry Adams—a small town originally founded by freed slaves—for a delightful fourth visit with A Wish and a Prayer. Time spent in this close-knit community of lovable eccentrics is always quality time, and this trip promises to be especially memorable, with a pig on trial and new love blossoming. Loaded with heart and wit, Jenkins's A Wish and a Prayer is like coming home—a welcome return that readers of Kimberla Lawson Roby and Angela Benson and African American romance fans will certainly want to experience.